On Sale! Up to 2% off on Weaving & Spinning at The Artisan Lounge, Page 6. 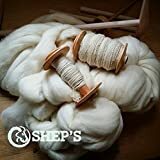 Top brands include Ashford, FLORAVOGUE, Schacht, & Shep's Wool. Hurry! Limited time offers. Offers valid only while supplies last. 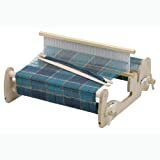 Ashford Weaving Rigid Heddle Loom - 24"
Ashford Weaving Rigid Heddle Loom - 32"